CBI - mortgage rules won't be changed. The Central Bank has indicated that it will not alter the mortgage deposit restrictions when the first review of the new rules is published in November. In a speech last night, the bank’s deputy governor Sharon Donnery said it was too early to change the measures and that it would be unwise to adjust them at this stage. Good for them, at least one institution has learned the lesson. Should be tightening them in light of the proposed buyer incentives coming in. Yeah it wont take long, expect a raft of articles over the next couple of weeks lamenting how young people are shut out of obtaining a lifetime of unsustainable debt to buy overpriced badly built Irish houses. Because you know we cant, sorry I mean wont, build any family homes for you, you sniveling little shits. Great news for young buyers, even if they can’t yet appreciate that fact. We can’t afford another glut of bad debt provisioning in 5 years time. Sir, – It is bizarre to hear all the whingeing and moaning from the home-owning class, be they resident homeowners or buy-to-let investors. They all seem to forget that they have a capital asset that even with a massive economic downturn will still be worth more at the end of the mortgage term, even after a modest capital gains tax bill for some, than they could ever afford to have saved if they were aiming for a similar lump sum based on a monthly contribution into a savings plan. Why is it in Ireland the default response to pandering to whatever well-heeled section of society Fine Gael is courting is to offer a direct tax subsidy that becomes a burden on the current account? Each euro paid as a grant to people buying a house is one less euro for spending on services people make such claims about wanting. If the Government is serious about helping proper first-time buyers – people who have never owned a home and don’t have a silver spoon from their family or parents – then it can mandate the Central Bank to end the ridiculous expectation for a deposit. The only requirement buyers should need to meet is an ability to pay the mortgage they are asking for, whether they have a deposit or not. I’m not aware of a single homeowner who had their house repossessed and was given back the deposit, or a lump sum after the bank fire sale, to enable them rebuild their life. The argument that a deposit gave the homeowner an initial buffer zone that could help them later on if they ever got into difficulty was always nonsense and remains so. If you set up a mortgage and for whatever reason you find yourself unable to pay, the fact you had a 10 per cent or 20 per cent deposit will be of no benefit to you because the bank will sell the house for enough to clear its loan and any equity you had will be lost. Having had a deposit provides no protection to you. 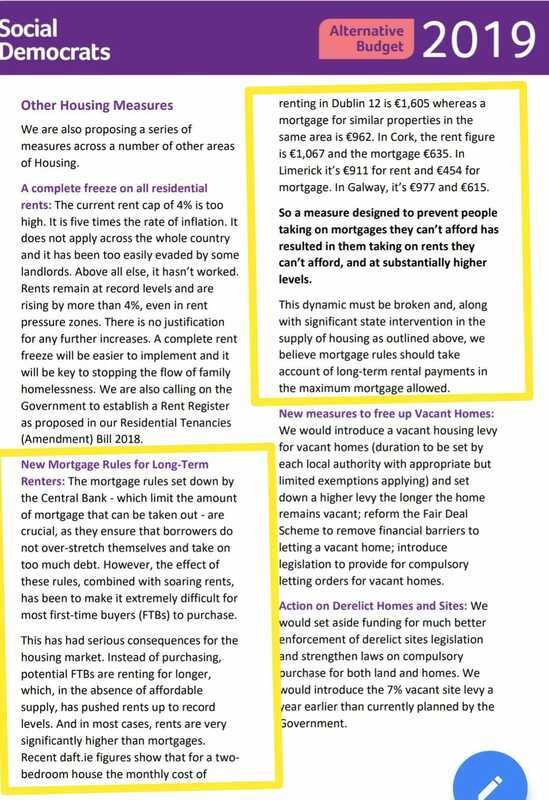 If Minister for Housing Simon Coveney is serious about increasing lending liquidity, then he would step away from the nonsense of creating more paperwork to administer a direct transfer of wealth from the taxpayer to the middle class and instead he would focus on mortgage lending rules. The notion that a bank can’t properly assess the affordability of an application for a 100 per cent or even a 110 per cent mortgage beggars believe. 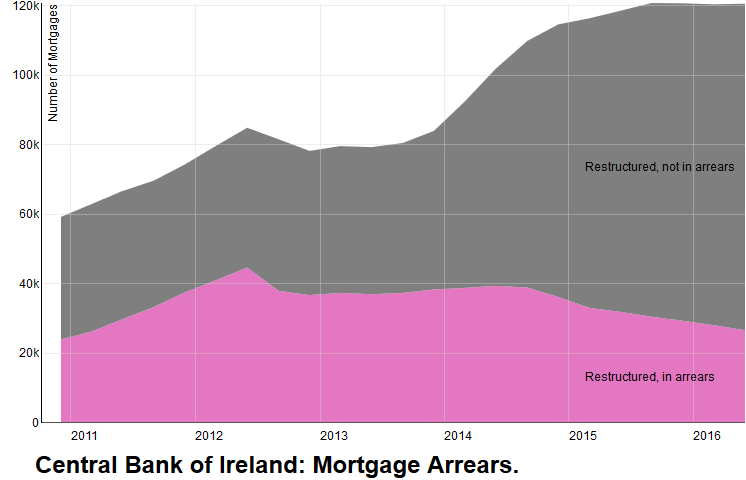 If a person is paying €1,500 rent and has a record of doing so, then they can afford a €1,500 mortgage. The IT needs to edit these letters a bit more. A friend of mine recently got a 100% mortgage in Belgium. Apparently they have a (legally enforceable) lien on not just the property but his income in the event of any default. He doesn’t appear to grasp that increased credit leads to higher prices. He’s no free market libertarian. If a person is paying €1,500 rent and has a record of doing so, then they can afford a €1,500 mortgage. Also doesn’t appear to realise that the only way is up for interest rates. Ah don’t be bringing up the old interest rates going up chestnut! Desmond is probably correct. Just looked up some repo stats - there’s been hardly any. So assuming that means hardly anyone has got into difficulty and the banks surely suffered very little losses. Right? Right? So assuming that means hardly anyone has got into difficulty and the banks surely suffered very little losses. Right? Right? Not sure if this deserves a thread of its own. The Central bank is not playing ball with the govenment’s agenda to reduce mortgage rates. Ed Sibley (Director of Credit Supervision) notes some evidence of a return to more aggressive lending practices and the pricing of loans relative to risk. The CB rules aren’t some sort of morality or frugality test. They’re designed to limit aggregate leverage in the system and reduce the risk of mortgage default by capping payments as a proportion of gross income. It’s almost as if politicians still don’t understand the basic principles of banking. The Politicians know what they’re at. It’s easier to blame the Central bank on the problem than to point out that if they (the state) only built more houses they’d be cheaper for young people. However building more houses would depreciate the price of current houses which would piss off the current house owners which means less votes. I think with Donnelly leaving, they took a turn more to the left. The “Irish left” though… which I feel doesnt really represents working people - more protecting wealthy elderly, public sector conditions, and increasing the social in an era of full employment. And having the lowest property tax in the developed world! Sorry - just a bit cranky tonight!